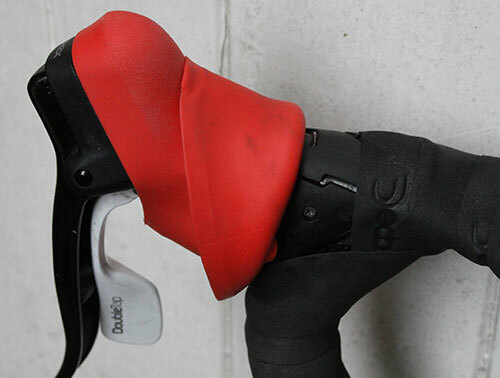 The hood on my Kinesis’ right hand SRAM brake lever started to tear a few weeks back and by last week was clearly not going to last much longer, so needed replacing. The Kinesis is now proudly wearing brand new bright red SRAM doubletap hoods in place of the old black ones. They were suprisingly easy to fit… there’s not need to remove the brake levers or any other complicated shenanigans… all you do is peel the old hood away from the handlebars, as you would do if you were trying to access the cables for some maintenance, and pull the whole thing over the top of the brakes and down over the lever. This does need a little brute force, but the hoods are stretchy and will come over the levers. Putting the new hoods back on is much the same, but you’d be advised to use some care (rather than sheer brute force) when stretching the rubber casings. 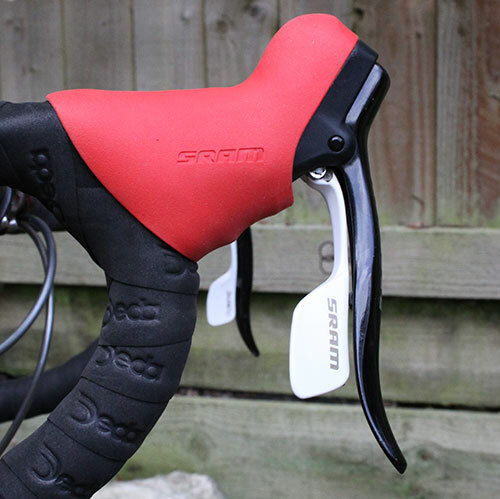 I used some hairspray, which I keep in the garage for fitting handlebar grips, to ‘lube’ the casing and then to help hold the new hoods in place… but I doubt that hairspray would be advised by SRAM. Once the hood is pretty much in place, a little fiddling got them seated in place with the internal rubber ‘stops’ all aligned. 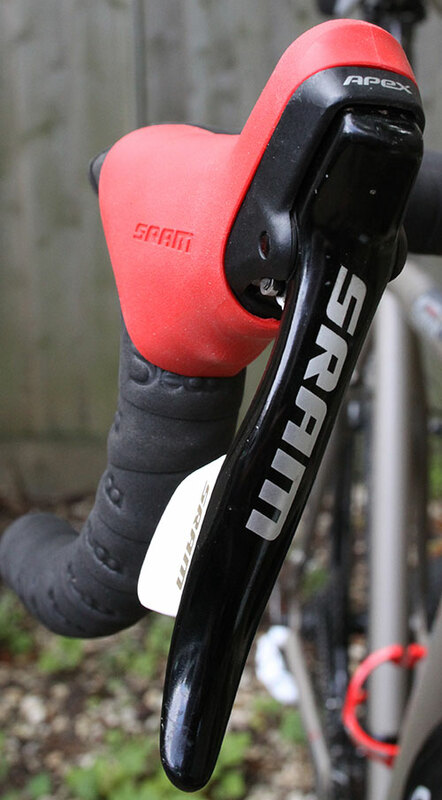 Remember that SRAM hoods are different left and right, so the SRAM logo printed on the hood must face outwards… Looking smart now.